Central University of Technology, Free State Library and Information Services (LIS) took technology to another level when it launched the EBook (digital or electronic books) on 9 and 10 April 2015. The launch is a clear sign of how the university is integrating technology into the culture of digital teaching and learning. Internet has become a vital component, most people and institutions are now resorting to e-books because it saves time, space, and money. Internet connection: when the internet is down, you cannot access the EBooks. Lack of special devices: laptops, IPad and smartphones. Restriction policies to prescribed EBooks (one reader at a time). 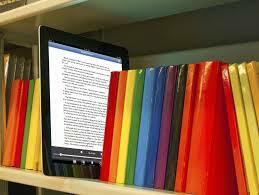 The EBook is also seen as a cost saving method, which will maximise access of information to the users and help the university to connect with the world. Readers will have unlimited access to information. More users can read the same book simultaneously at different locations as compared to printed versions where only a few copies are available to borrowers. There will be more space and no shelves to pack and manage. Visit the CUT Library webpage for access to a number of information resources.